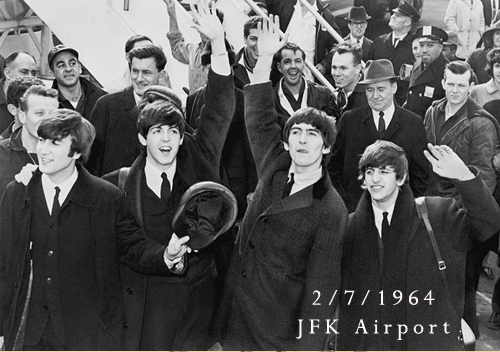 On this day in 1964, thousands descended on London's Heathrow Airport for the send-off and New York's Kennedy Airport for the arrival of the Beatles for the group's first US visit. Their landmark Ed Sullivan Show appearance was viewed by 73 million two days later. The group also did concerts at Carnegie Hall and the Washington Arena in DC. Musicians of note born on February 7th include King Curtis (1934), Wings drummer Joe English (1949), Bon Jovi keyboardist David Bryan (1962).